Vegetables are taking over menus, moving from side to star in creative dishes across the country. Now, more than ever, plant-based dishes are taking center stage on restaurant menus around the United States, including at Sea Island, garnering the respect of an aged prime steak and all the dressings of any other main course. No longer pushed to the edge of the plate, innovative vegetable preparations are single-handedly changing the stigma of meatless—or meat-minimal—meals, proving that a vegetable-centric food movement can be satisfying enough to please omnivores and herbivores alike. Gone are the days of the lone vegetarian entrée on restaurant menus: Diners are asking for more variety in vegetable dishes, and chefs are answering with more creative options. In a country that consumes more meat than almost any other in the world, it may come as a surprise that vegetables are going mainstream. But it’s about time, according to Eric Fullem, executive sous chef at The Cloister and Beach Club at Sea Island. 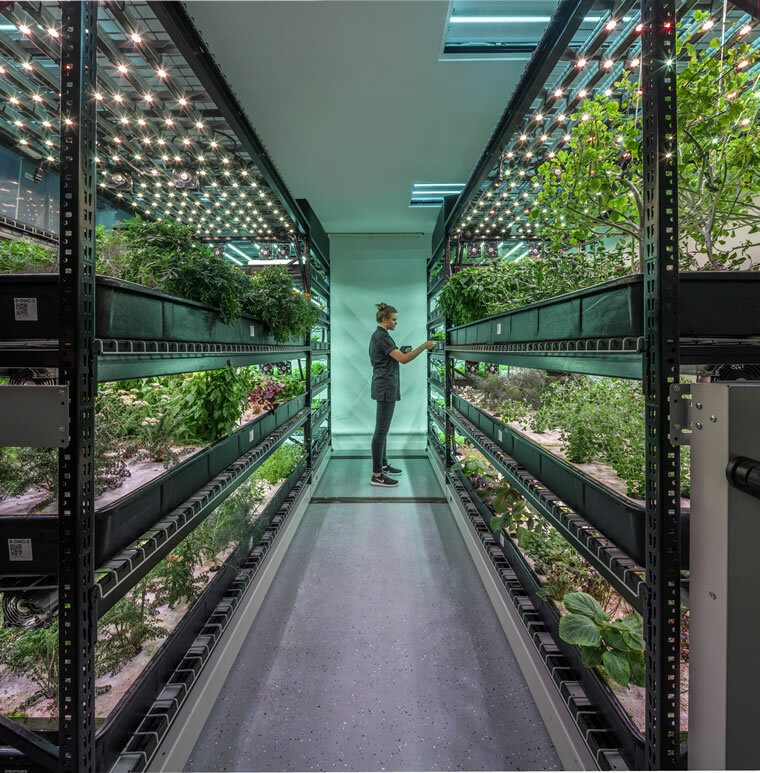 A vegetable-forward diet is not synonymous with being vegetarian or vegan, explains Robert Laing, CEO and founder of Farm.One, a vertical, indoor hydroponic farm for herbs and greens, including exotic varieties and edible flowers, in New York City. While vegetarian foods contain no meat, they may incorporate dairy products like milk or cheese and, in some cases, eggs or fish. Vegan foods are void of meat as well as any ingredients that derive from animals. A plant-based diet, Laing explains, simply means eating food with little to no animal byproducts, with no emphasis on the ethical angle associated with vegetarian and vegan lifestyles. The doors to Fullem’s culinary world flew open the first day he laid eyes on a candy-stripe beet. “I’m from rural Pennsylvania. … There are a lot of farmers and a lot of good food there, but I’d never seen anything like a candy-stripe beet before: It was like a whole different world opened up for me,” he recalls. What Fullem knew about beets back then, when he was working as a restaurant server, was that they were deep red in color, stained fingertips and came in a can. But what he saw in that candy-stripe beet was nature’s artwork at its finest—precise red veins carved into the white flesh of a fresh beet. What other mystifying vegetables was Mother Earth producing? 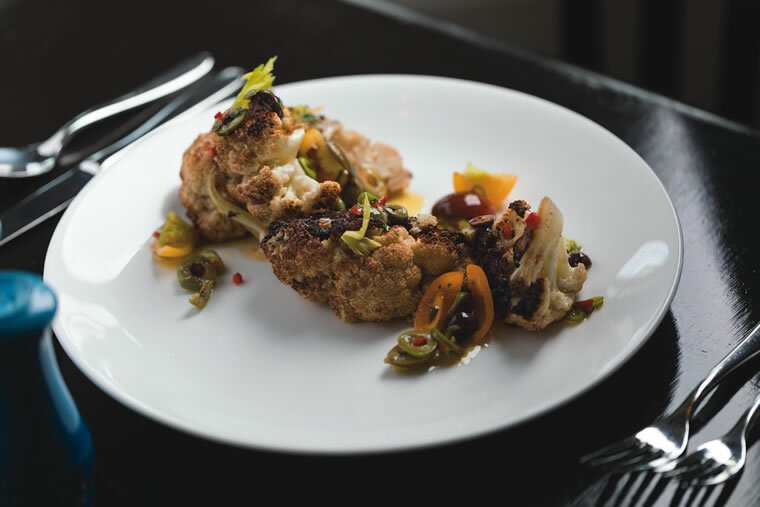 Now, at Sea Island, Fullem says he aims to give diners that same aha moment with the plant-based dishes he serves, whether it’s a colorful roasted beet salad or a bowl of creamy celeriac velouté. “It’s one of the favorite soups I make,” he says of the latter. Celeriac is derived from the root of a particular variety of celery. Fullem blends it with brown butter, onions and chicken stock to make a bright, floral entrée with a surprisingly creamy texture. “People have no clue what it is when they try it, and when they do [find out what the main ingredient is], they are pleasantly surprised,” he says. Sunchokes are also among his favorite uncommon vegetables. Packed with natural sugars, the sweet root vegetable caramelizes beautifully when roasted, which pairs well with honey and a sprinkling of sunflower seeds. While vegetable-centric dishes are introducing diners to a variety of exotic vegetables, they have also sparked a comeback for more traditional veggies like Brussels sprouts, peas and cauliflower. These tried-and-true vegetables are being revamped to take a starring role on the plate. No longer cooked to a pulp, fresh Brussels are often shaved and pan-fried with baking jam; peas are gently cooked so they retain that brilliant green color and sweetness; and even cauliflower is roasted whole or sliced into thick, succulent steaks. Kale has also gone mainstream, making its way from a garnish on salad bars to starring in soups, salads and sauces like kale pesto. Grocery stores are responding to the trend, as well, and have started offering customers a larger variety of vegetables. It’s not uncommon to find purple carrots among a rainbow of heirloom tomatoes, corn and cauliflower (to name a few) even in small-town markets. But that’s not even the extent of the vegetable-centric movement. Some plant pioneers have experimented with technology and techniques to create innovative new uses for the food, Laing says. For example, aquafaba, the viscous cooking liquid found in canned chickpeas, which most people pour down the drain, can instead be used as an egg substitute in plant-based baked goods or mayo, and as an alternative in various dairy-free recipes. “The vegetable movement has suddenly opened our eyes to a hundred new ways to create new and exciting food,” Laing says. Another reason for this newly gained respect is simply because a vegetable-centric diet is healthier (as long as you’re still consuming the necessary amount of protein, vitamin B12 and minerals, such as zinc). Vegetables are packed with nutrients, including fiber, various vitamins and even some protein. They also have very little saturated and total fat, and virtually no cholesterol. 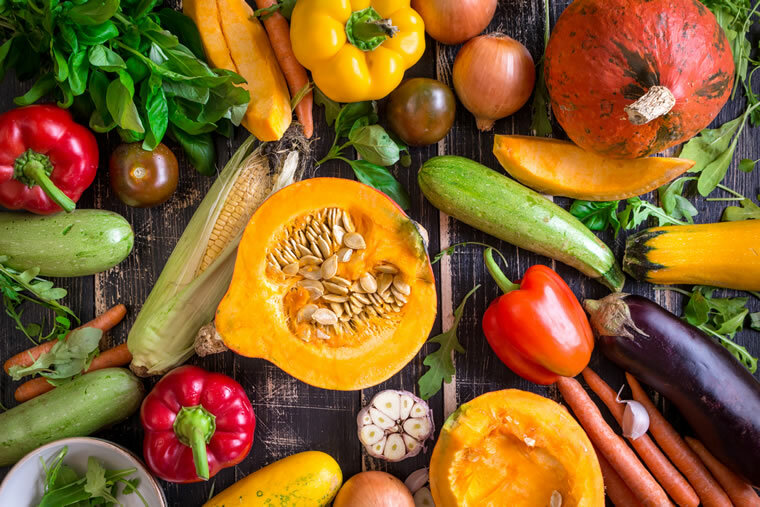 A diet high in vegetables and other plants may even help improve cholesterol levels and reduce risk of heart disease, which is the leading cause of death in the United States. “The demand for food that tastes good, but is better for you, has never been higher,” Laing says. “Obviously that brings plants to the fore.” But the most die-hard vegans who avoid meat and dairy altogether wouldn’t be satisfied with a vegetable entrée that lacked protein, “even if it tasted amazing,” says Mark Reinfeld, Vegetarian Hall of Fame inductee as well as owner and co-founder of Vegan Fusion. Through his company, Reinfeld teaches other chefs how to cook meatless dishes, and emphasizes that vegetable-only entrées should be rounded out with some sort of protein. Edamame, an immature yet tender soybean in the pod, is one of the most protein-packed vegetables with about 17 grams of protein in a 1 cup serving. Lentils are also high in protein as well as fiber, and can stand alone or be morphed with other vegetables into a veggie burger or whipped up into a hummus-style dip. Reinfeld prefers using tempeh (a dense, savory cake made from soybeans that are fermented and cooked) or tofu (a less dense patty of soybean curd) to add protein to his vegan dishes. These plant-based products can also help chefs replicate flavors and textures of popular dishes like meatballs or chicken nuggets, which are often sought after by the so-called “vegi-curious,” who enjoy the taste of meat but want or need to cut back on their consumption of it. Plant-based protein is also far healthier than meat-based protein, according to a study recently published in the International Journal of Epidemiology. It found that eating meat regularly is associated with a 60 percent increased risk of developing heart disease. Plant proteins, on the other hand, have been shown to actually benefit the heart and even reduce that same risk by 40 percent. For an added benefit, vegetables can be a literal feast for the eyes, modeling the season’s ripest colors and coming in a variety of shapes and sizes. When artistically presented, they become picture-perfect. Eric Fullem, the executive sous chef at The Cloister and Beach Club, shares the recipe for one of his favorite vegetable-centric dishes. In a small saucepan, brown the butter and pass through a chinois, removing all caramelized milk fats. Sweat onions and garlic until tender and translucent, then add celeriac, celery stalks, chicken stock and heavy cream. Cover and cook until tender (about 45 minutes), then blend until smooth. Pass through chinois once again and let cool. Season with salt and pepper to taste. 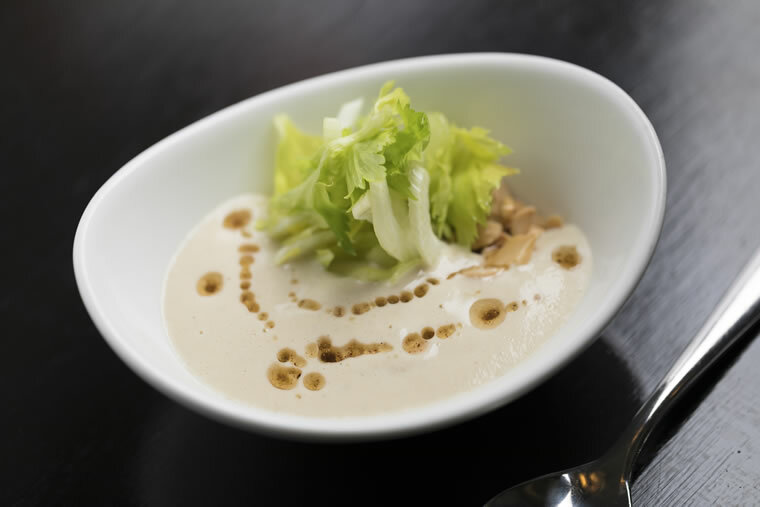 Garnish with celery leaves, celery hearts and toasted hazelnuts.